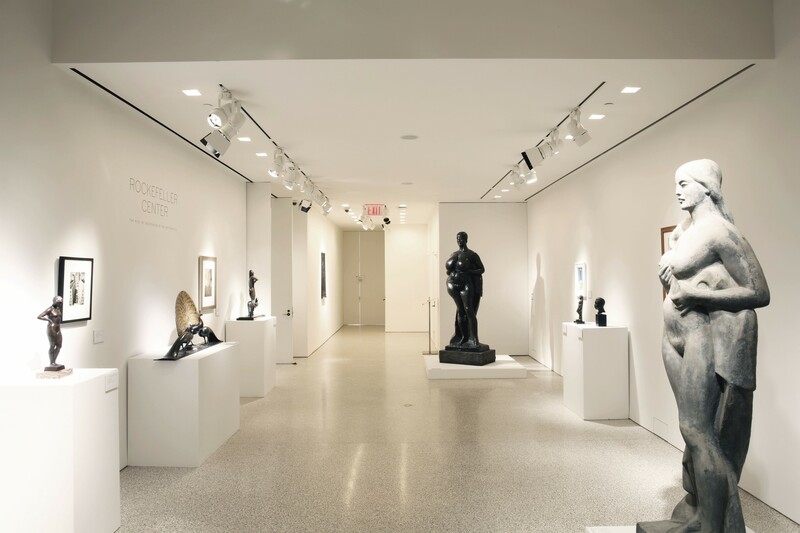 Selldorf Architects has been working with Christie’s on a phased renovation of the public spaces and galleries of their Rockefeller Center location. Starting with the 48th Street lobby and reception area, Selldorf has renovated the spaces with an updated palette of materials and custom furniture. 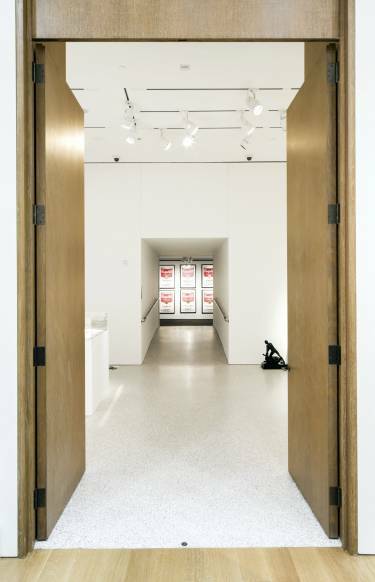 The West Galleries are a new suite of exhibition spaces on the ground floor of the landmark location which opened at the end of 2014. 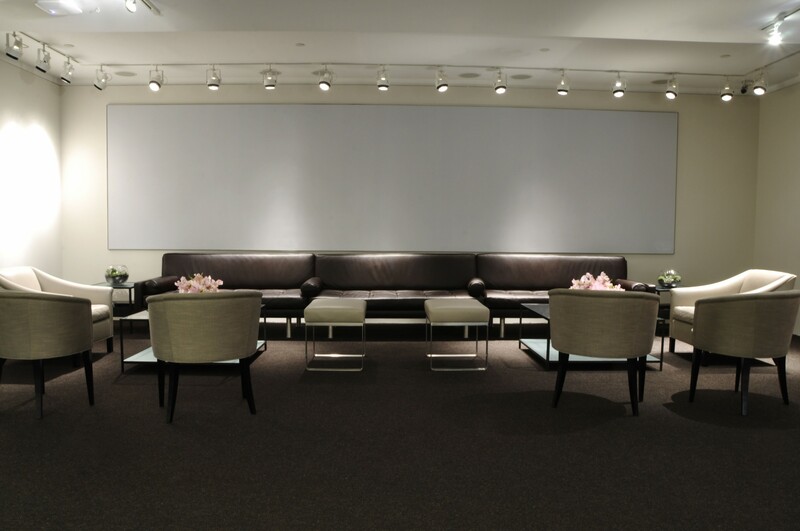 The 11,000 sf space provides a new location for private sales. 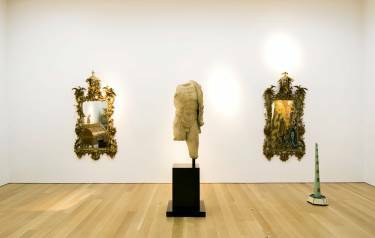 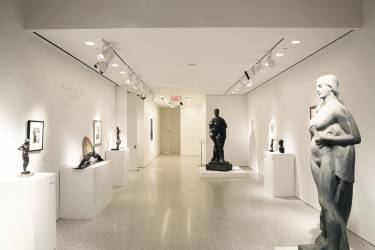 Located directly off the main reception area, the galleries offer diverse and flexible environments for the display of art. 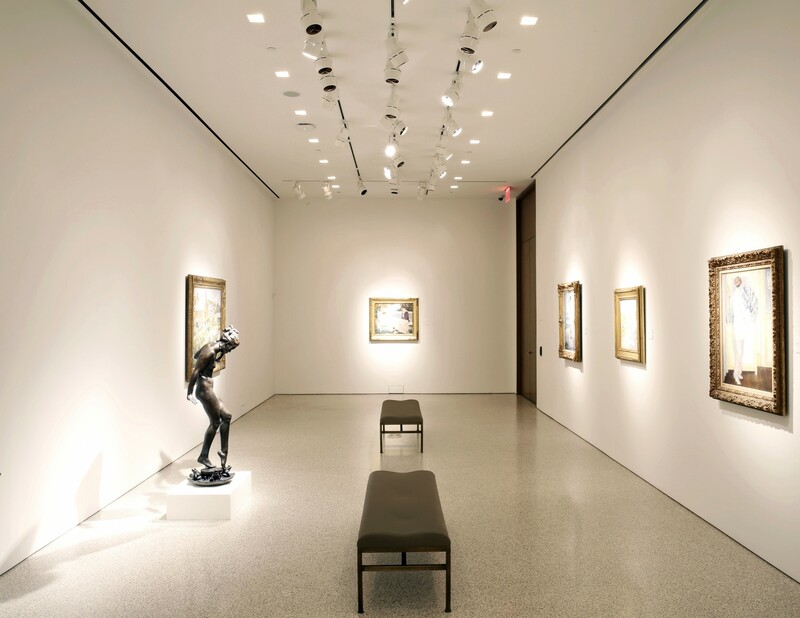 The entrance gallery and lobby display art in a setting that evokes the architecture of Rockefeller Center with terrazzo floors and light fixtures made from gilded brass and sanded glass that were inspired by a historic art deco design. 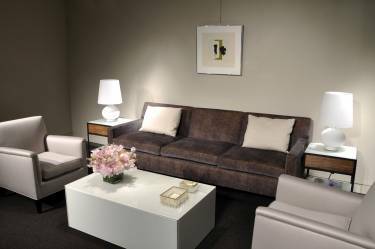 The space’s five individual showrooms are both gracious and intimate, ranging in size from 200 – 500 sf with 16’ ceilings. 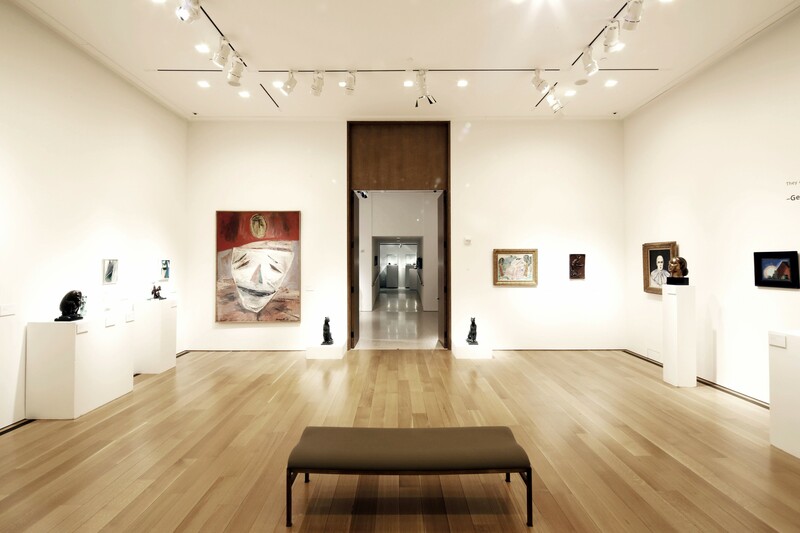 Restrained detailing and white oak floors throughout create serene environments for viewing a wide range of work. 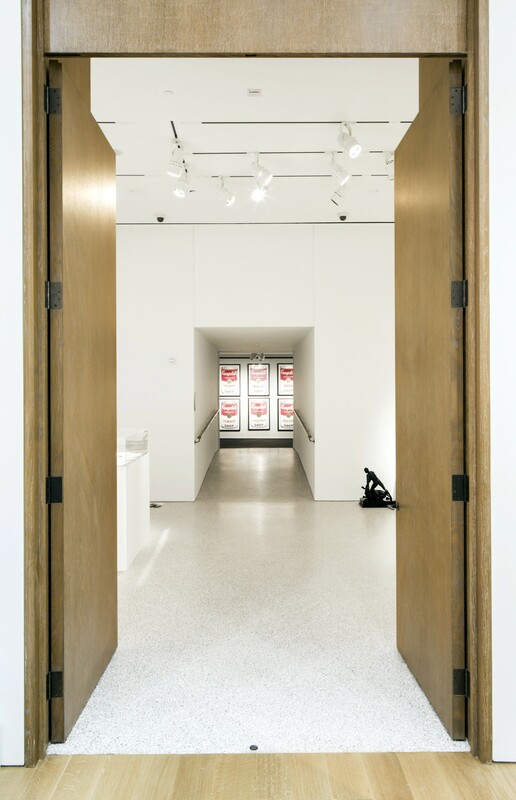 Doors and deep thresholds made from cerused oak create distinguished entrances for the individual galleries. Interiors blend iconic modern furnishings with custom piece by Vica, Selldorf’s line of furnishings and accessories.